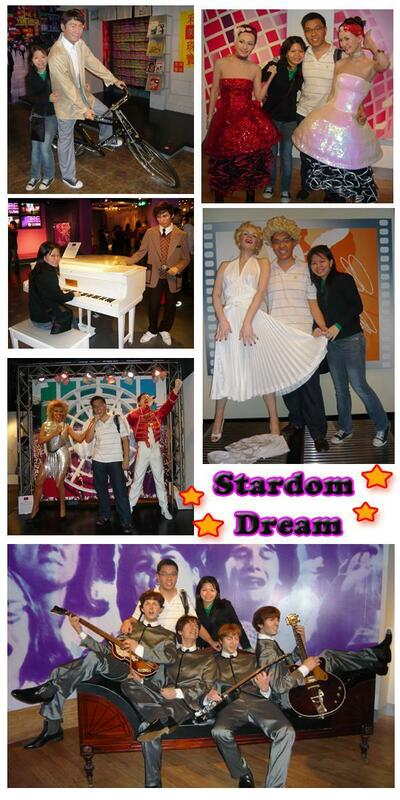 Located at one of Hong Kong’s most famous tourist attractions, The Peak, Madame Tussauds Hong Kong is easily accessible by the Peak Tram or bus. Even if you have been to other Madame Tussauds museum around the world, this is still a must-see especially so for Asian visitors as the characters in this museum are contextualized for Asia e.g. Asian leaders and entertainers. If you are a fan of Hong Kong movies and songs, chances are you will find your favorite singers and actors here – perfect opportunity to literally rub shoulders with them. 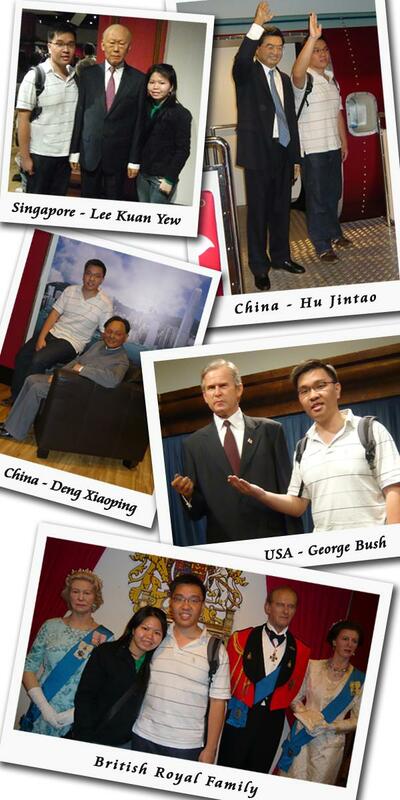 Unless you are well-connected in high places in the political field, I guess The Hong Kong Madame Tussauds Wax Museum is the only place where you can get up close and personal with many world leaders from different countries in less than 15 minutes like what I did e.g. disembarking a plane with Mr Hu Jintao, People’s Republic of China’s President, getting cozy with Mr Deng Xiaoping and even the British Royal Family. Moving on from the “serious” part of the museum featuring political figures, we move on to the entertainment arena where you can sing and dance (more like pose) with entertainers from all era and genre e.g. 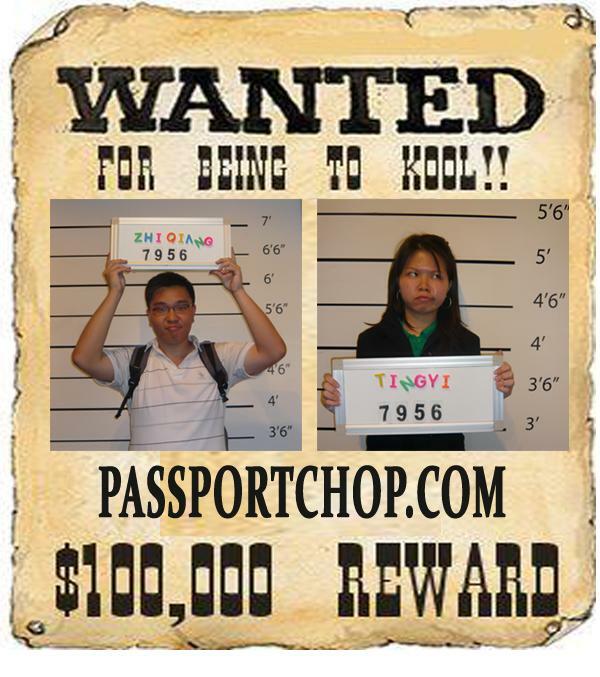 Beatles to Jay Chou. You can even dress up as Marilyn Monroe (just her blonde wig) and do the standard Marilyn pose (holding down her skirt as the wind from a nearby fan tries to do otherwise). 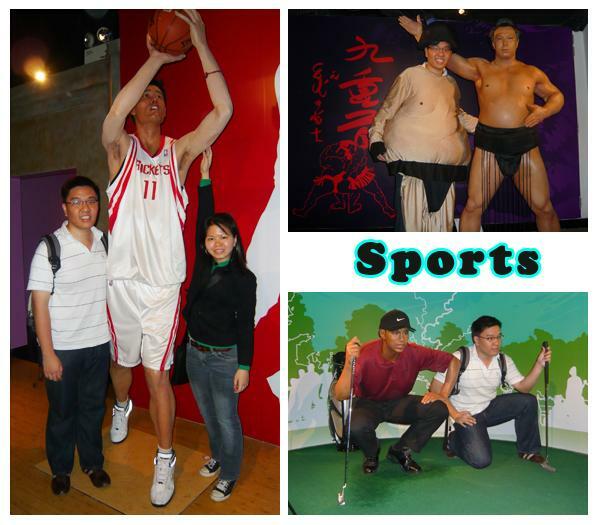 We all know that the famous Chinese basketballer, Yao Ming is tall – to know really how tall he is – check out his wax figure in the museum – we are not even at his armpit level – no wonder he is playing in the NBA league, playing with the giants of the basketball arena. Nonetheless, you can try to play dress-up with the famous Yokozuna sumo wrestler in Japan and play golf with Tiger Woods. 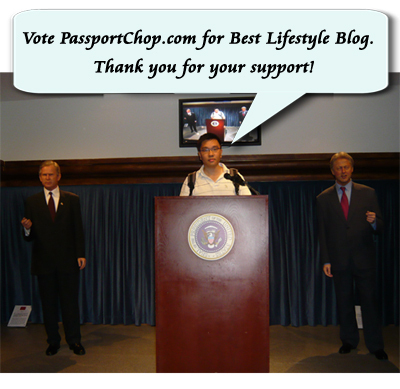 HI… do you write travel guide like information on how to get there ? To get to Madame Tussauds, take the Peak Tram. The Peak Tram is one of the most popular touristy stuff to do in Hong Kong so there will be quite a lot of instructions once you get to Hong Kong on how to get there. The nearest MTR station (can’t remember exactly which one) should be around Central and from there, take a 10-minute stroll (uphill walk) to the Peak Tram terminus. There will be lots of tourist signs leading to it or just ask around.